How NOT Knowing How David Copperfield Made The Statue Of Liberty Disappear Can Benefit You! I usually respond, “If I tell you how its done do you promise, REALLY PROMISE not to tell anyone?” “Yes, YES”, they answer. “Well… I promised the same thing.” I politely reply. There is nothing wrong with people wanting to know how illusions are done, unless of course you are the Masked Magician! In fact I rather enjoy being asked those questions. Questions like these show that something “really made enough of an impact” for someone to remember the trick, in most cases long after the event. And I am always fascinated regarding “what tricks” they ask about. It really is free market research! It’s a chance to find out what stands out in a person’s mind about a performer or presentation. 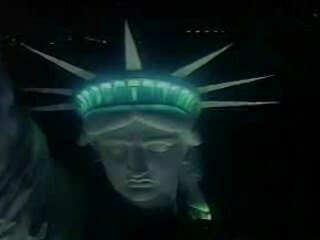 Yes David Copperfield did indeed make the Statue Of Liberty disappear and it was done without trick photography. David is probably one of the greatest performers and illusionists of the 20th Century and a genius. He made the magic happen and always “thinks outside the box!” The mirror idea… I don’t think so. The real secret here, and how it can directly affect your business, is the questions that are asked. I said that I don’t know how David Copperfield made the Statue Of Liberty disappear and it’s true! I don’t know because I wasn’t there. I did not see first hand what happened, I only saw it one TV like millions of other did. Now, do I have ways of achieving that same effect and have it look the same? Yes! Is there a chance they could be the same method? Possibly, but that is not the important issue here. The real trick is HOW TO LOOK at achieving the result! Magicians never ask, “How is it done?” That’s too limiting a question. The question they ask is “here is the effect I want to create – the result I want to achieve. How can I make it happen?” Do you see the difference? It really is a subtle change but a very powerful one. It truly becomes a paradigm shift. The question now does not limit us as to the methods for achieving our results. We now no longer have to think under the restrictions imposed by a set of rules or limitations that we have no control over. We get to truly think and play “outside the box”, just like David did! 5) do not give up until you have achieved your desired result! This is the real secret for making the Statue Of Liberty disappear! Does this work? Ask David Copperfield! Or maybe Bill Gates, Henry Ford, Pierre Trudeau, McDonalds, Thomas Edison, Mother Theresa, AOL, Tony Robbins, Stephen Hawking, Steven Spielberg, Mrs. Fields and Jim Carrey to name but a few more. Remember Real Magic can happen only when people believe in themselves and are passionate about making a difference in their own life and the lives of others! Have focus! Be passionate about what you do! Create your own real magic!! !